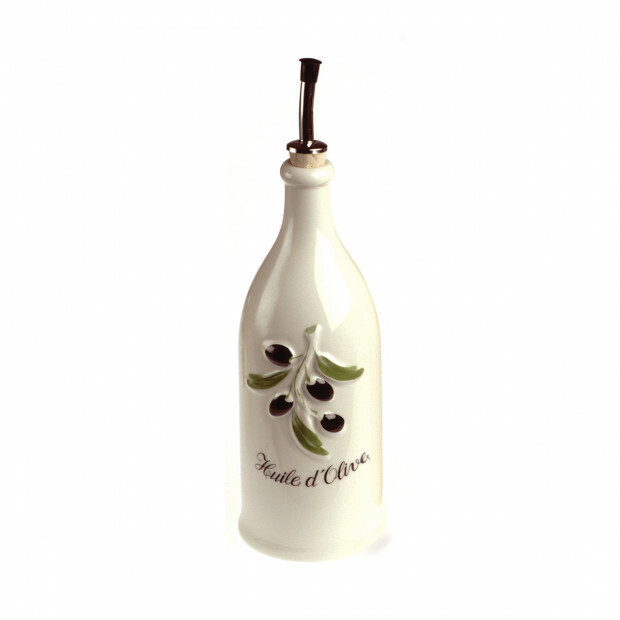 The 8.75oz olive oil cruet is the must have for every kitchen counter or table. Design follows a very classic style. 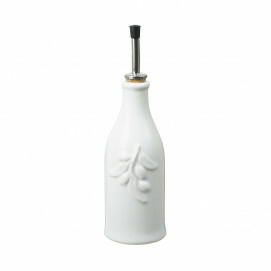 Made of culinary porcelain, the bottle is glazed inside and outside. Keep olive oil longer by protecting it from the sun and the air. Porcelain is the perfect material for it as it is non porous so it won’t absorb the oil, even after a long period of time. Use the pourer to adjust seasoning. Available in a creamy off white and a warm yellow. You can complete it with the vinegar cruet French classique and the cruet holder revol Touch. Store and pour olive oils and dressings.